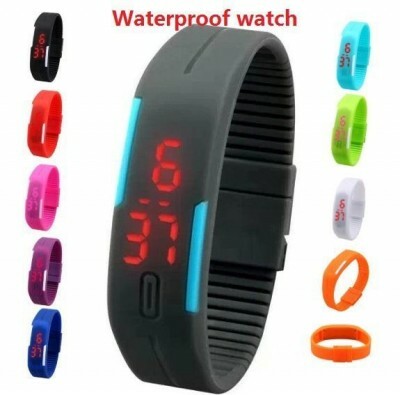 Led Waterproof Silicone Watch-C: 0279. 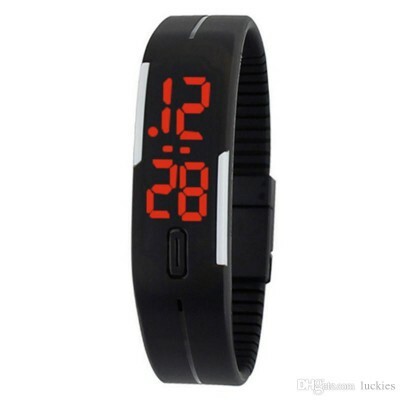 BYC LED Watch Displaying Time and date via LED digital screen, with large font for easy reading. This watch is designed with stylish and exquisite appearance, Suitable for both Women and Men, Girls and Boys. 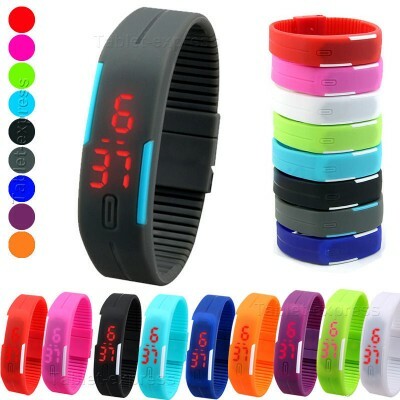 Silicon strap design, it is soft and comfortable to wear, Whether in sports or casual. With its elegant and contemporary design, it is very popular. A perfect gift for friends, families, lover, co-workers or yourself. Additional RED LED function to show the time clearly in dark areas. 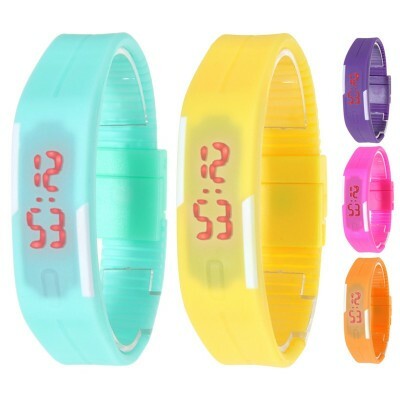 - For Time Setting Adjustment:- Click The Button, Time Number Appears, Press The Button Probably About Five Seconds, When The Red Numbers Start Blinking, It Enter The Set Up Mode. Then Slowly Press The Button To Adjust The Time Digits. After Setting The Current Item, Press The Button Again Probably About Five Seconds To Enter Next Setting. - Order Of Setting Values Are Hours, Minutes, Year and Month. Set The Time And Do Not Press The Button To Save The Settings. - Information About Size:- If The Bracelet Is Too Long For Your Wrist, You Can Remove-(By Cutting It With Scissors)-The Extra Small Units From Both The Ends In The Band is To Make It Fit For You. Locks On Both The Ends Are Removed And Replaced. Item Specifics: Brand Name: XIAOYA. 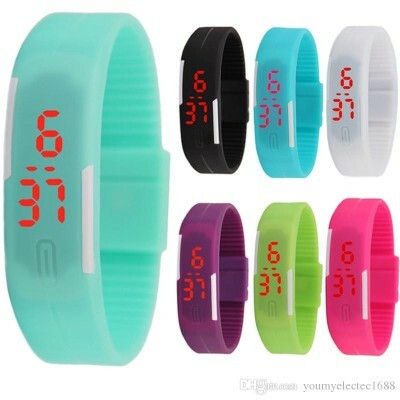 Item Type: Digital Quartz Wrist Watches. 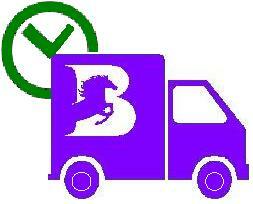 - NOTE:- Product colour may slightly vary due to photographic lighting sources or your display settings.